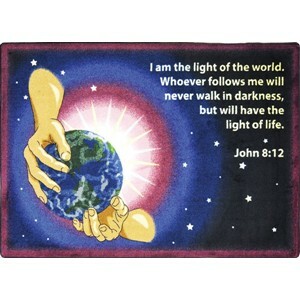 This wonderful faith based area rug from Joy Carpets declares “I am the Light of the world” (John 8:12). 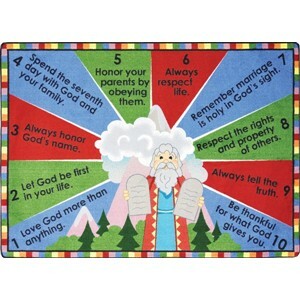 A colorful play mat that helps children in your Church Sunday School learn that only though Jesus can they live in the light! “I AM THE LIGHT” FROM JOY CARPETS STARTS AT $91. Pastor owned and operated, Church Furniture Partner understands the needs of your Church and is ready to deliver the highest quality faith based rugs while staying within your budget. We offer the complete collection of faith based rugs from Joy Carpets. Give us a call at 419-469-6411 or fill-out the form below and one of our staff will contact you to assist with the faith based rug needs of your Church. Don’t worry, we do not use any high-pressured sales tactics.